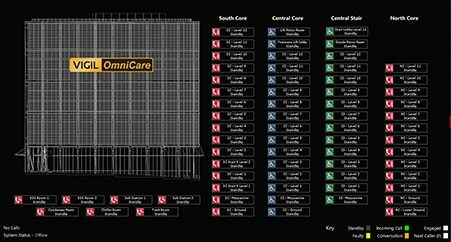 The touchscreen control option for OmniCare adds further flexibility to the system. Can be installed remotely from the master panel, providing a stylish option for reception lobby areas. Simple to navigate touchscreen control. ‘Administrator’ and ‘guest’ password protected accounts. Displays the condition of each zone. History and fault log with realtime date stamp. State-of-the-art computer high performance computer and screen all in one unit.